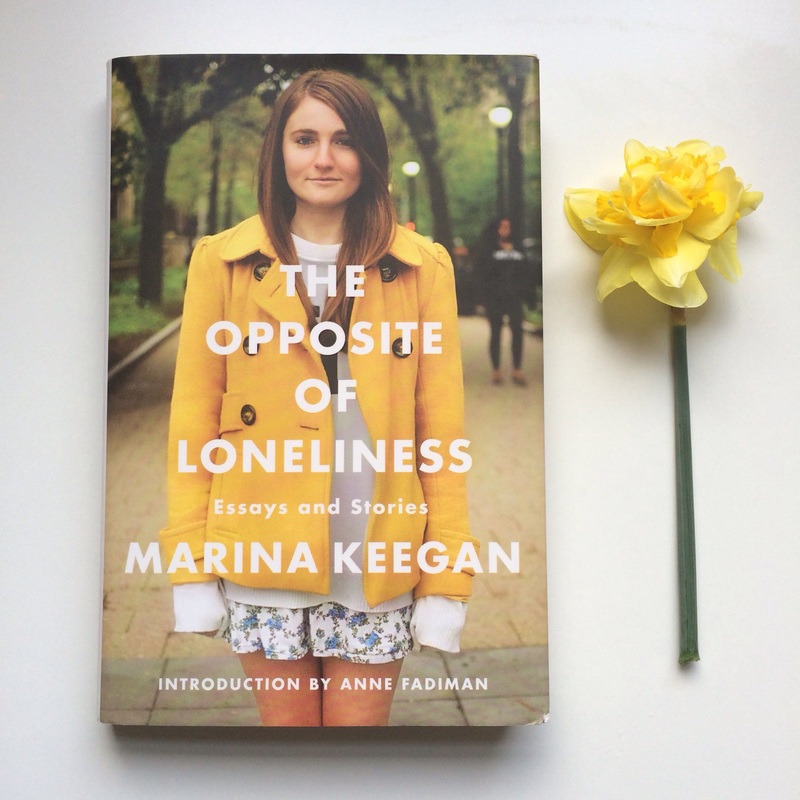 I am sure many of you are aware of the story of Marina Keegan, the precocious writing talent who was tragically killed, aged 22, in a car accident five days after her graduation from Yale. Her essay, The Opposite of Loneliness, was the final essay she wrote for the Yale Daily News. It became a worldwide sensation and was read by 1.4 million people. This book is a collection of some of her writings, both fiction and non-fiction, compiled by her family, her friends and her teachers. My girl asked for this book for her birthday after reading the eponymous essay online. It’s been sitting on the pile next to her bed, unread, as she wades through her own school reading. So, I figured she wouldn’t be too cross if I picked it up to read myself! There was nothing in this collection that I didn’t enjoy. In the introduction to the anthology, Keegan’s former teacher, Anne Fadiman, explains that many of her students wrote in a voice older than their own experience whereas Keegan wrote in the voice of her own age. This does not, however, prevent her from writing of those beyond her own age. “Reading Aloud’, ‘Hail, Full of Grace’ and ‘Sclerotherapy’ all centre on mature age women coming to terms with the passage of time, past mistakes and their current state of being. ‘Reading Aloud’, which tells the story of a woman who has lost meaning in her home life, I found desperately sad. And yet whilst Keegan writes of these characters who are beyond her own years and experience, there is an authenticity to them that indicates she must have had enormous empathy and insight into the lives of others. For me, reading her essays felt like I was reading pages of her diary, as her thoughts were revealed to me. To read of her hopes for the future, the management of her coeliac disease, her views on the paths taken by Yale students upon graduation, her summation of herself as not special, yet perhaps special…well, it’s just sad. There was so much vision, so much to look forward, so much for the world to experience of her but, tragically, for her, not ‘so much time.’ She brings to her essays youthful enthusiasm, but also maturity, so that they cannot simply be discarded as belonging to the idealism of youth. Thank goodness she produced so much in her short life for she has gifted us with a body of work – stories, plays and perspectives – that could be considered complete in the life of another writer. Definitely worth reading. Wow! It sounds amazing. I am inspired to read it. Thanks for sharing. Thanks for your thoughts, Philippa! I found your blog via Meet Me at Mikes too! I love that you are a ‘Rebecca’ fan too – it doesn’t seem to pop up many times! I reading it in year 12 and have re read it many times since. And ‘Stasiland’ is great too. My girl is reading it at the moment for school. Think I might be rereading after her! Thanks for stopping by!